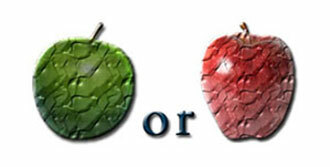 When carrying out Peyronie's treatment comparison it is important to compare apple to apple. However, this is easier said than done. The Peyronie's treatments available are very different, making the comparison difficult... but not impossible. When making a comparison you must compare the pros and cons of each treatment option, including possible side effects, health risk and the total cost for the treatment. You must also evaluate the reported results and look for scientific support for those claims. At the end of the day, you have to make a judgment call. You have to decide what risk you are willing to take, how much you are willing to spend, how much (or little) scientific support for the results is acceptable and so on. I go through all those issues in details on this website. This should help your research and assist you in finding the right Peyronie's treatment for you. How To Compare Peyronie's Treatments? I also provide cost indications, but more about that later (see next at the bottom of this article). This not only helps you to identify the treatment options available to you. It also helps you to evaluate the different treatment options, prioritize which factors are most important to you and to choose the right treatment for your condition. I have also prepared treatment comparisons tables for each treatment category. You can download them and print, e.g. if you want to take them with you to see your doctor. The comparison table includes all the Peyronie's treatments covered on MyPeyronies.com. Association of Peyronie's Disease Advocates (APDA) has also compiled excellent interactive Treatment Comparison Chart that can help you to make educated choice about which Peyronie's treatment to go for.